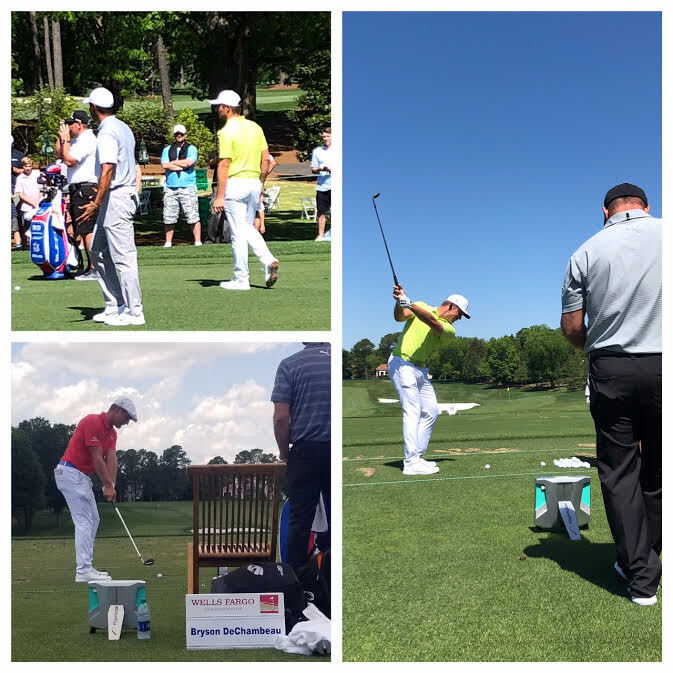 Our team recently attended the Wells Fargo Championship in Charlotte to support current FlightScope Tour Player Bryson DeChambeau, who finished 4th overall and is now ranked 5th in Top 10 finishes! We spent time working with Bryson on the range and providing support with spin rates on his wedges. After going through all the clubs in his bag, we concluded that the new True Temper shafts were performing more consistently than his previous shafts, validating our testing results during the prior week. We spent nine holes with Bryson, Justin Thomas and Tiger Woods during their practice round. We also had the chance to educate club and shaft manufacturers on the benefits of using FlightScope for club fitting. We spoke with the reps from True Temper, KBS, and Nippon on advantages of using FlightScope’s Swing Acceleration Profile and slow speed camera to pinpoint the optimum shaft for players. 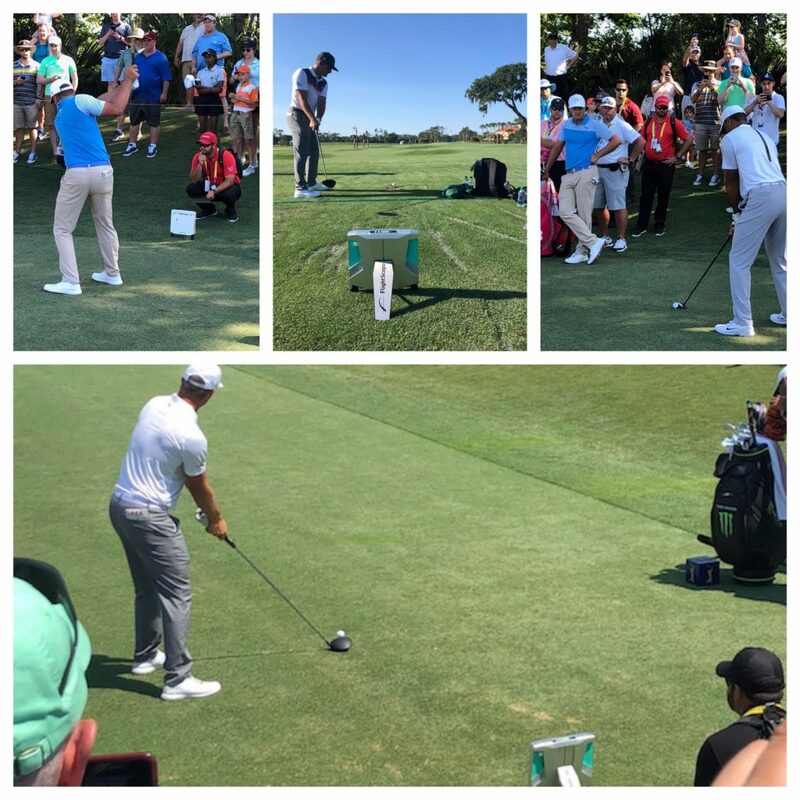 Just a few days after attending the Wells Fargo tournament, the team headed to the Players Championship at TPC Sawgrass to continue working with Bryson, networking with manufacturers, and talking to shaft reps about using FlightScope for club fitting. We did our usual range and course work with Bryson, who was again paired with Tiger, as well as Harold Varner. These two events were great exposure for FlightScope and an exciting experience for our team and partners! Stay tuned for new updates as we travel to more events later this month, including the AT&T Byron Nelson Tournament and the Fort Worth Invitational!